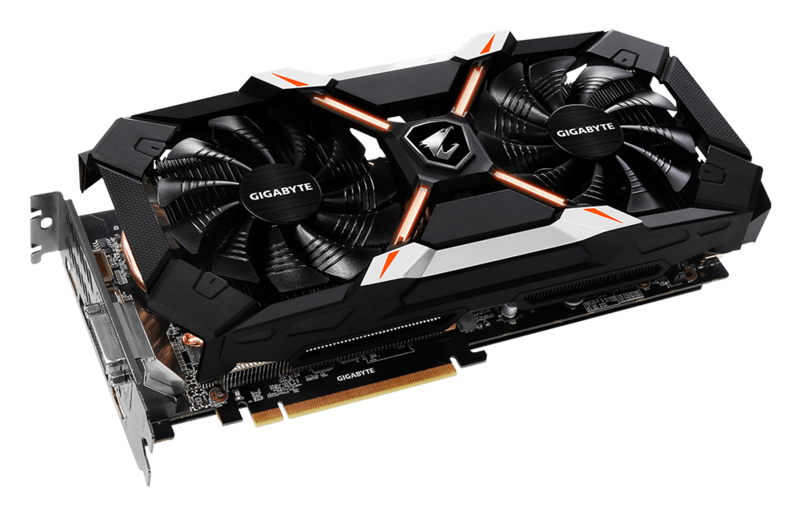 View cart “Gigabyte GeForce GTX 1060 G1 Gaming 6G” has been added to your cart. AORUS graphics cards are crafted for perfection in pursuit of the ultimate graphics experience for gaming enthusiasts. Based on the revolutionary NVIDIA® Pascal™ GPU architecture, AORUS graphics card brings you incredible gaming experience. 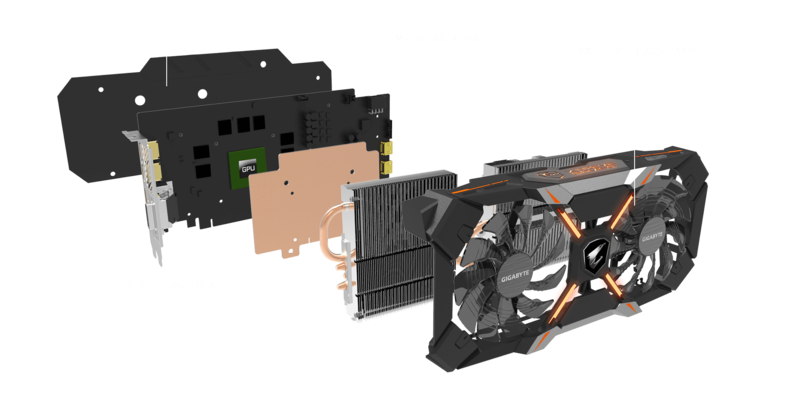 The WINDFORCE 2X cooling system features two 100mm unique blade fans, alternate spinning fan design, pure copper composite heat-pipes, large copper plate direct touch technology, semi-passive 3D active fan, and protection back plate together delivering an effective heat dissipation capacity for higher performance at lower temperatures. 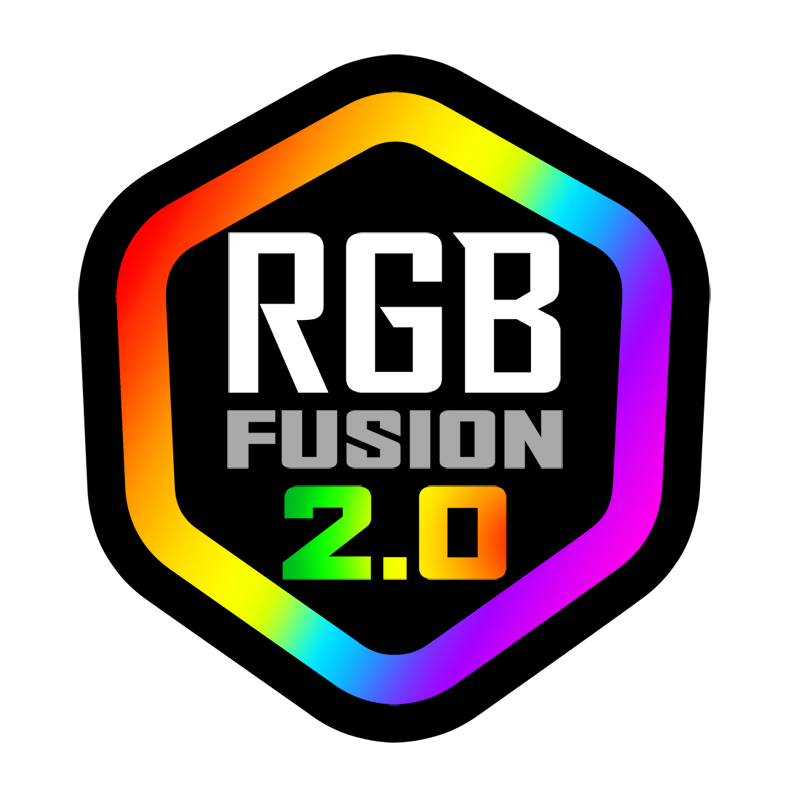 With direct contact to the GPU and VRAM, the large copper base plate combines the composite heat pipes to efficiently transfer heat generated from the interior cores to the heat sink. With 16.7M customizable color options and numerous lighting effects, you could now choose the right scheme for your gaming rig through AORUS graphics engine. With 2 extra HDMI ports, Xtreme VR Link innovatively provides the most flexible output connectivity. 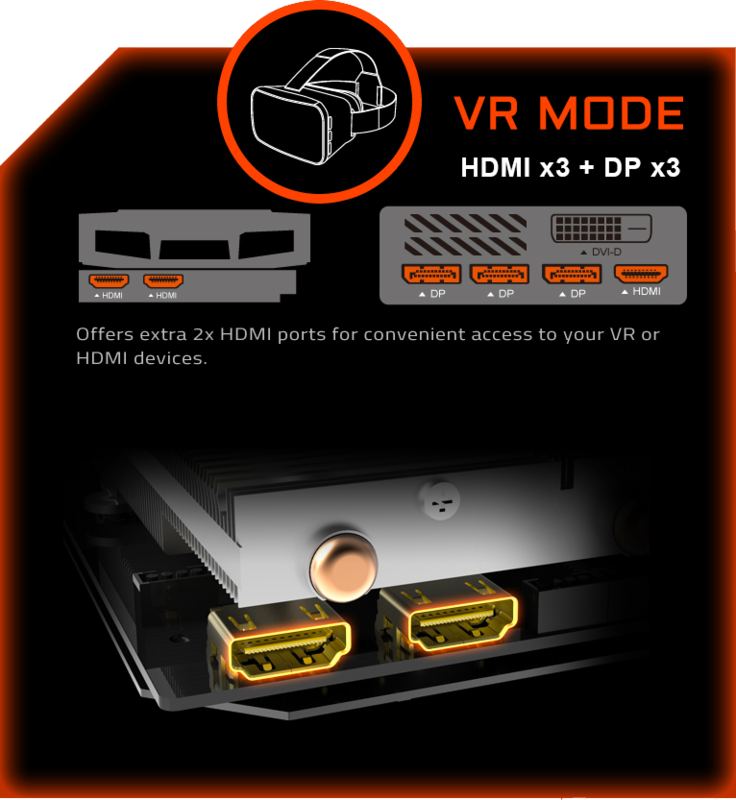 Connect up to 4 monitors and/or VR devices at the same time with a total of 3 DisplayPort and 3 native HDMI ports that could be used interchangeably under VR Mode for all types of gaming configuration. Outputs are automatically detected upon restarting PC with no further setting required. Glorious black metal back plate provides the solid protection, strengthens the structure and inspires the passion for gaming. 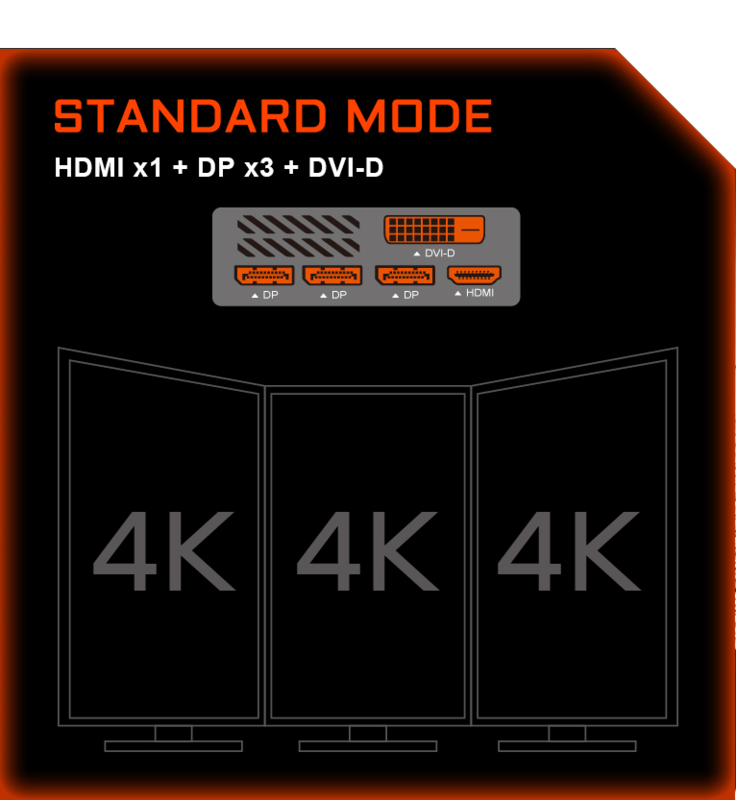 We want your experience with AORUS to be the best you have ever had. 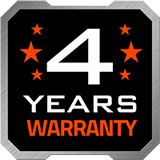 This is why, on top of our standard 3-year warranty, we would like to offer you an additional 1 year of AORUS Care protection to your AORUS graphics card free of charge. 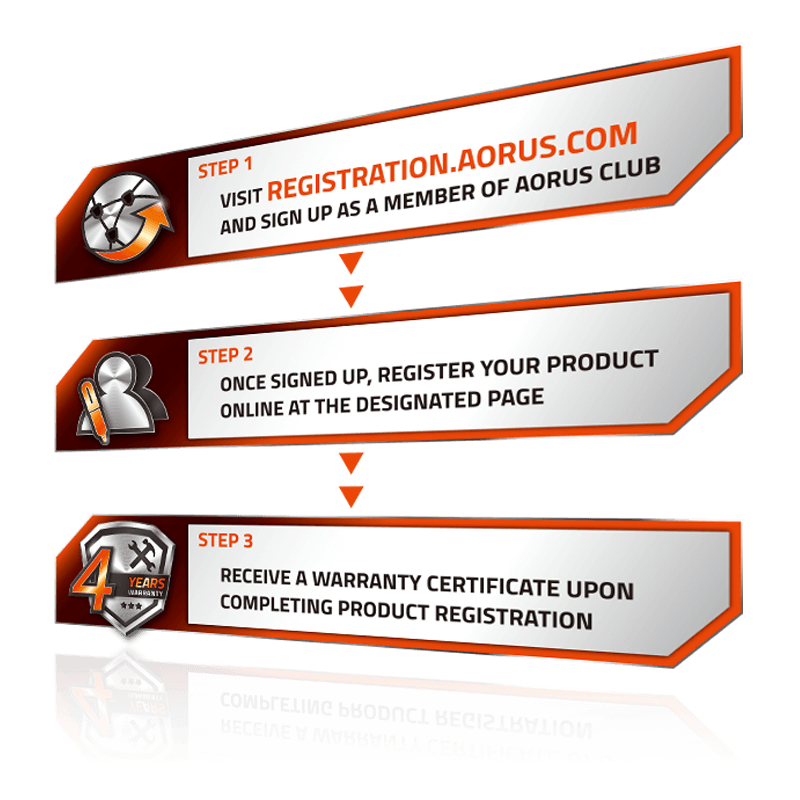 Register on AORUS website to get 4 years warranty.